New York is home to financial, insurance, security, retail, media, and other Fortune 500 companies — the very types of industries that young companies would like to talk to. But it’s a challenge for an enterprise startup with a handful of customers to get the attention of executives at top companies. Molly Gillis, a principal at General Catalyst said that the companies launched the network last year at the behest of the startups. “The idea was catalyzed by our portfolio company founders who expressed a strong desire for a platform that provided access to NY-based customers,” she said. The two companies came together to form the network as a way to differentiate themselves from the rest of the VC pack and provide additional value to the enterprise companies under their purview. Mayfield has a similar program going on in Silicon Valley called the CXO Network, which gives their portfolio companies the opportunity to talk to local executives about their products and services. Navin Chaddha, a partner at Mayfield says they saw joining Velocity as a way expand the idea to give their portfolio companies more access to east coast decision makers. Since launching a year ago, the network has hosted a dozen monthly meetings in New York City, resulting in over 350 face-to-face meetings between startups and enterprise execs. Meetings are designed around themes, which are built around similar set of portfolio companies such as cloud and analytics or next generation retail. Each firm invites about 5 startups to come along and they invite executives to come in who share an interest with the theme. Each meeting follows a similar arc, says Gillis. It starts with a round table discussion to see what’s top of mind. Then startups go into a conference room to meet one-on-one with companies. There is usually a guest speaker from one of the firms, and they wrap up with networking and lunch. The decision makers get more than lunch out of the deal though. They also get to stay up-to-date with emerging technologies and talk directly with the people who are developing them. What’s more, they get to hang out with other executives and managers from companies who are facing a similar set of issues. 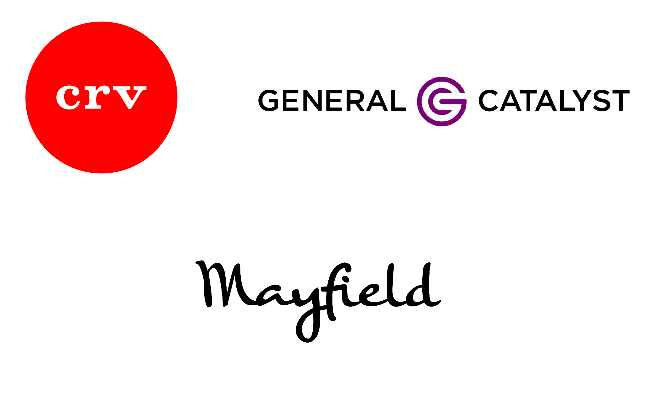 With Mayfield in the fold, the network plans to expand to a twice monthly schedule this year. It’s a lot of work to put these events together, but the firms have found it’s worth it to get these groups together and help their portfolio companies get access they might otherwise have trouble getting on their own.